Our Friend Randy Paul designed this device. No one can keep a horse giving in a hackamore longer than Randy. Of course the other part of his secret is soft hands. 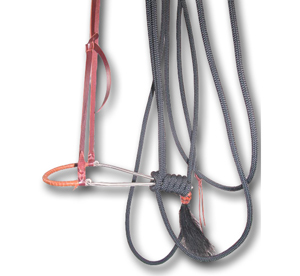 Whether you ride Reiners, Cutters or Pleasure horses this is a great tool to keep your horses soft in a hackamore.